Business these days generally focuses more to the work environment and its people particularly if its an online mega business so that they can really get the most out of them. People in the 21st century are really looking for these types of work environment for the mutual benefits to them. One, they can give their quality work in such an environment and two, they can relax anytime and enjoy the facilities provided. You won’t find such harsh rules and regulations in such places although they come under the top productive companies of the world. Why don’t you check it out here? 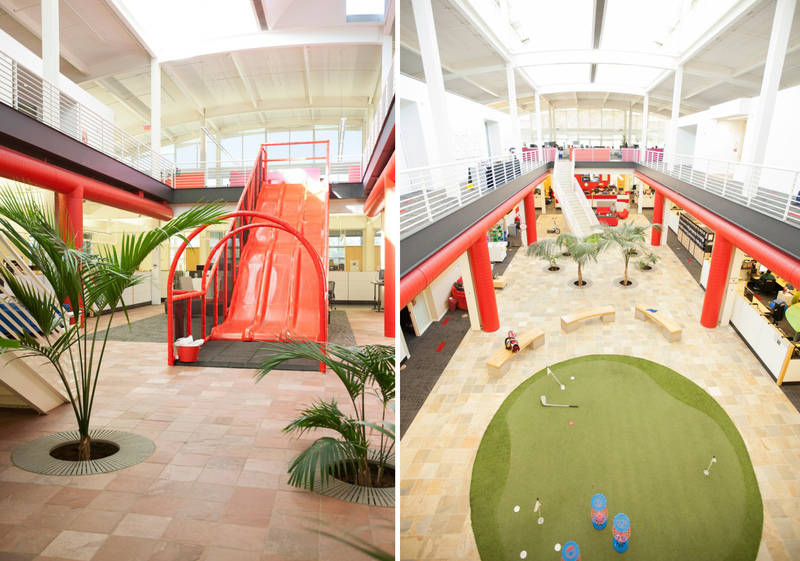 Its no secret that Google has the most sophisticated work environment for its employees. A company like Google spends a lot of time and money to create such a lovely environment so that they can give their best work and can get the most relaxing and cooperating environment ever. There is a rule that nobody is allowed to stay 101 meters away from food. It is the reason you will find kitchens and cafeteria everywhere and they are fed 3 times a day, for free.If you find the building too big, there is a fireman’s pole where you can slide and come to the down level. Isn’t is beautiful? You have a aquarium over there if you are tired and want to get some time away from work. Facebook is the other company one would love to work in.It has wonderful office designs and conducts poll for its employees to know what do they want from an office.They have big open space and skate ground for its employees. If you really want to play a song from your iPod , you don’t need a dock because you have a whole room for DJ where you can really enjoy and relax.What more do you need if you have all these crazy things to do? Facebook knows about the importance of human resource and they have implemented it very successfully which makes them where they are today . 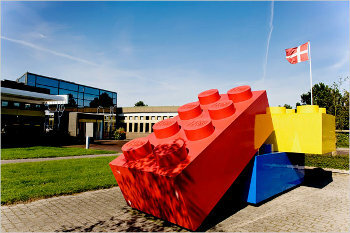 If you want a Colorful and comfortable environment to work, then I believe that Lego is the perfect place for you. 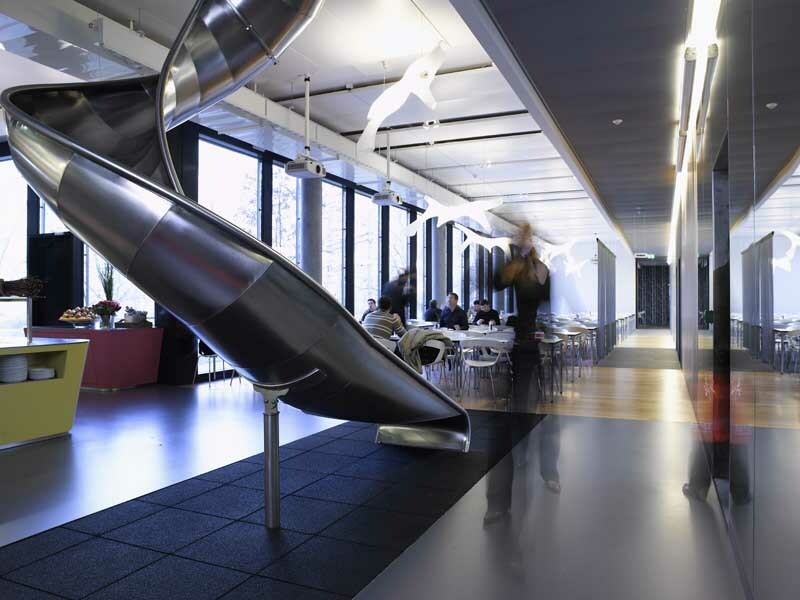 It has open-plan layout light environment with different colorful designs so that people can play and work effectively. The company believes that if they get such an environment, it will help them to innovate new ideas while they are working.The sizes of the rooms vary according to their uses and gives people a relaxing environment. Well , if Lego doesn’t make you happy, I wonder what will? Whether you want to see a beautiful nature at one side or the iconic walls of the building on the other, this place is worth to be in and work. Have you seen any company having its office on the underground level and in the middle of the woods to get the pleasure of seeing the nature and animals just right at front of you? I haven’t. This is what Selgas cano is all about. 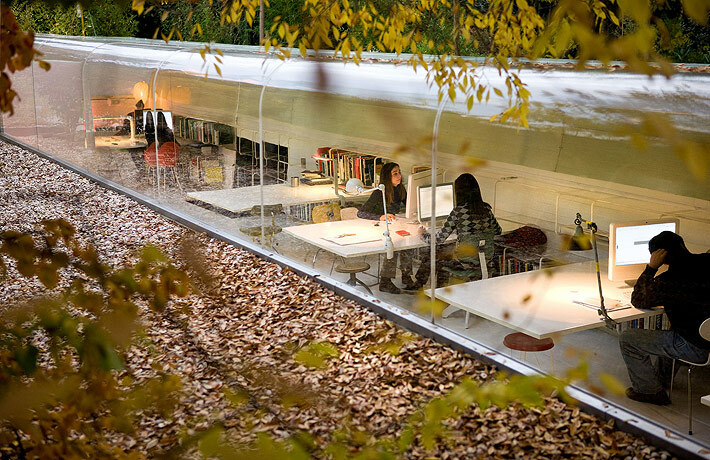 Designed by Spanish architects Jose Selgas and Lucia Cano , this building has a fiber glass at the side and top of the building to see a panoramic view of the woods and nature. It has underground offices to keep it cool from summers and also the window is attached to the hinge for its ventilation and allows sunlight inside which feels so good. Situated in the happiest place of the world, This place isn’t all about having energy drinks, but more than that. It has hardly 100 people all around their 20’s working here. They don’t believe in keeping a rules books in front and work instead they follow a comfortable and enjoyable environment to bring creative ideas allowing them to give a unique space. It is made of 5 old pubs and the reception in the morning turns out to a bar place at night. This is all about this wonderful place. 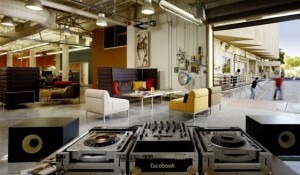 I guess it’s a perfect place for every young desperate entrepreneur looking around to work in such companies . You tube do not needs an introduction since we all know about its work and what it is all about. Just imagine if it’s so popular for watching videos online, how would be its working environment? Yes, You’re right. It was sold 2 years back with a huge sum but also its productivity now is appreciating. With bigger space and enjoyable work , everyone dreams on working on YouTube. Since it’s all about online, it believes to give as much as open environment to its employees. You will find swimming pools, gyms, gaming, eating etc. to give indeed a precious environment to its people working there. Its few business and more pleasure to the staff to give them inspiration and relax environment so that they can bring new ideas in the business. There are a lot more places in the world like some of these mentioned where people can really get to work and Flexibility is the core of the business because the secret of flourishing around the world is realizing the importance of human resource development. 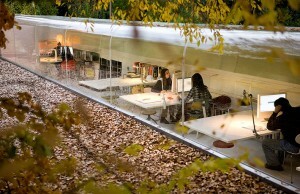 Top companies of the world spends much on the work environment to give its employees a perfect place to work in. So folks, wanna work in places like these? Go get up and enjoy life. The Skilled Professionals And The Indian Organisations- A Long Distance Relationship?